In a speech to a large crowd marking the second anniversary of a foiled military coup, Turkish President Recep Tayyip Erdogan declared that he would "never forget those who embraced the coup-plotters" in an apparent dig at Greece where eight Turkish servicemen have sought asylum. 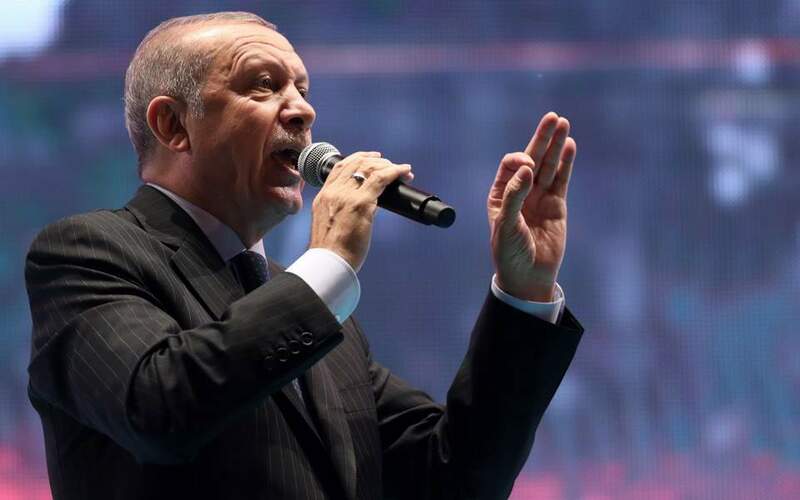 "I say it clearly, we know who took what stance and when they did so," the Turkish leader told a crowd on the banks of the Bosphorus on Sunday. "And we have realized who is cooperating with whom." "The coup showed us who are our friends at difficult times," he said, adding "we have a good memory." "We might not keep talking about what happened but we will never forget," he said, adding that "it showed us hypocrisy." He added that Turkish authorities would continue "without rest" their struggle both inside Turkey and abroad, apparently referring to the ongoing purge against Erdogan's perceived critics. In a related development, Erdogan issued presidential decrees reshaping key political, military and bureaucratic institutions as part of an ongoing overhaul of the state apparatus. According to Turkey's state news agency Anatolia, more than 1,600 people have been given life in prison for their perceived role in the thwarted coup while more than 140,000 civil servants have been suspended or dismissed.